Spring is a time of great renewal in the garden. It is a time when dormant plants start to burst into life – growing rapidly as they seek energy from the warm rays of the sun. Dormant buds explode (not literally) with new leaves and flowers when the threat of overnight frost has long passed. 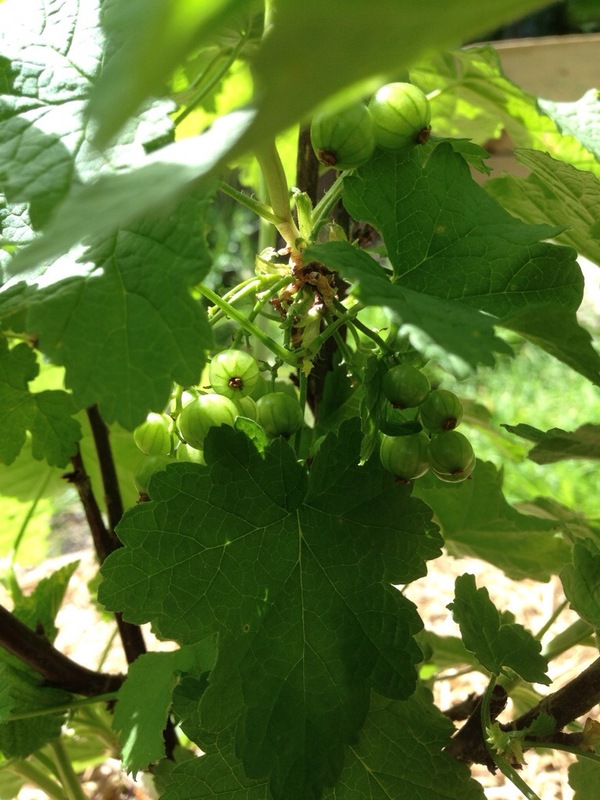 This particular redcurrant started coming back to life only a few weeks ago. I was surprised to find a nice small bunch of green fruit deep inside the bush. It’s the perfect place for them to grow – birds can’t see them when they ripen and on a very hot day the sun can’t dry them out. In the Spring Garden, the gentle hum of bees also fills the air. The melody not only adds life to the garden, but is reassuring, and it is reassuring to me, for one purpose. That they are pollinating. For without the help of bees, we would have no fruit & vegetables and we wouldn’t be able to collect any seeds to sow for next year. We try our best to attract bees to the garden by growing lots of flowering plants. The best thing we’ve done – I’d say without a doubt, is the little area we like to call Wisteria Lane. 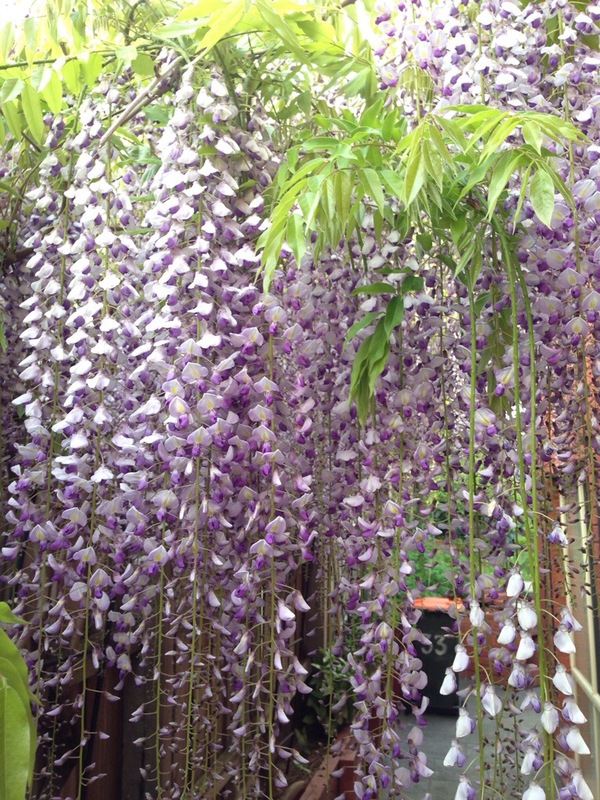 It’s just the pathway on the side of our house where two Wisteria plants provide hundreds of beautiful, long, drooping flower bunches that hang down above the path. It provides not only a pleasant smell & northerly shade, it also attracts hundreds of bees. 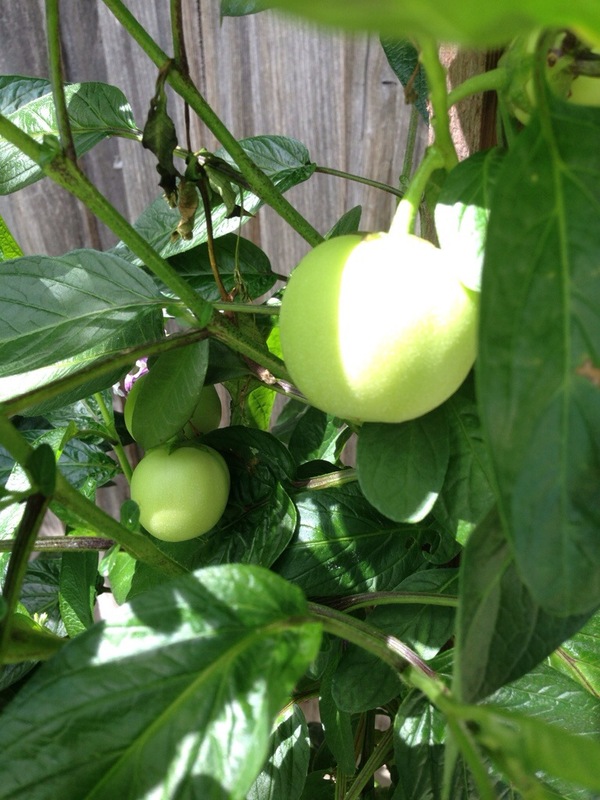 Thanks to the bees, lots of our plants are in fruit. This Pepino plant was staked up vertically during the Winter, as it started spreading outwards in an unruly manner, taking up a lot of space and growing straggly, weak stems that snapped off easily. Thankfully we were able to control it and now it is growing extremely well. The fruit that it produced the previous season could not be eaten due to rot while they were lying on the ground. Hopefully this year they will grow better in this new vertical setting. It also looks nice too. 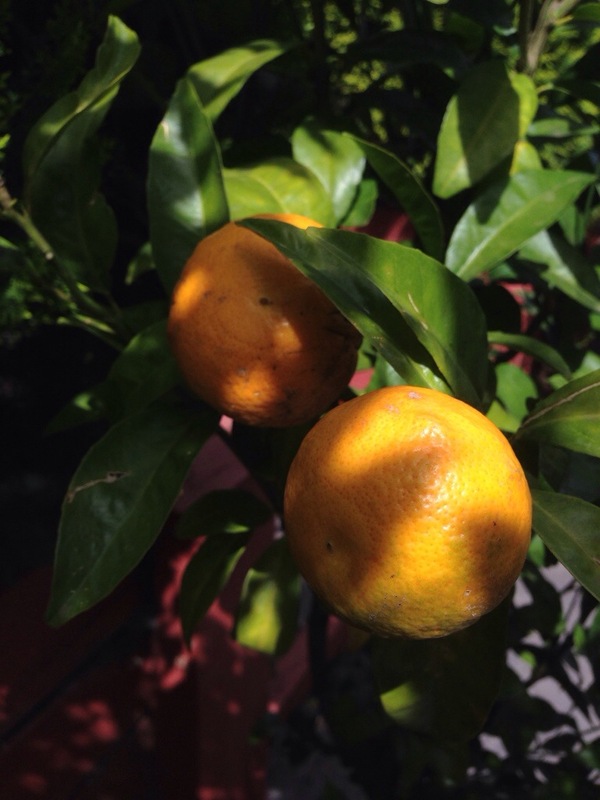 These mandarins were pollinated last year to harvest this season – they are nearly ready to be eaten. We will pluck them off the tree once the last bit of green has faded from the glossy, orange skin. Some parts of our garden get no direct sunlight at all and even with the heightened angle of the solstice sun, still remain shaded. This area is right next to our fence. 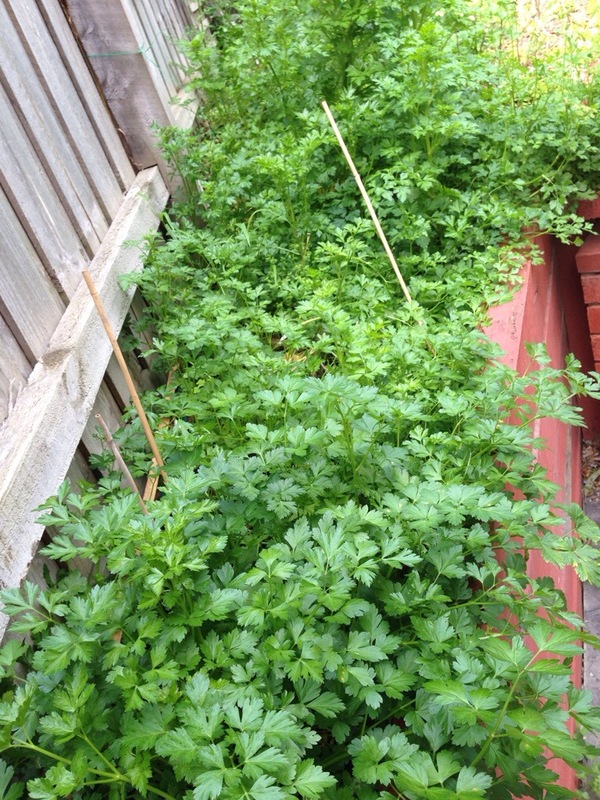 We found that Parsley grows so well here – in fact we only started this Parsley patch with a few small seeds and left them to their own devices. Look how they have over taken this area, filling what was once a baron mulch bed into a lively, green landscape of colour and flavour.